Ethnic Rhinoplasty requires a highly individualized approach as people of different ethnicities often have noses with distinct characteristics. At MicroCare Rhinoplasty Centre, Hyderabad, India Ethnic Rhinoplasty Specialist Dr. Vinnakota Sriprakash works with a diverse range of patients from wide range of ethnic groups. Rhinoplasty surgeon helps to achieve results that harmonize beautifully with the facial features of virtually any patient. Some ethnicities have nasal characteristics that are unique to each race. It is typical for people of all races to want a change of appearance in their nose without diminishing their cultural background or heritage. Everyone wants a symmetrical, pleasing looking nose that fits their face and skin type regardless of creed or nationality. Like any other nose job or rhinoplasty procedure, in ethnic rhinoplasty the goal is to re shape the nose by altering the cartilage and bone under the nose, but minimizing the trauma and any possibility of scarring. 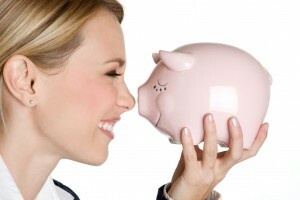 Some procedures in rhinoplasty are more common for ethnic rhinoplasty patients. The changes may be subtle or dramatic, depending on the needs and desires of each patient. Ethnic female rhinoplasty patient is a nasal surgery where the nose is surgically altered to create a symmetrical, aesthetically pleasing nose that suits the individual patient’s face without diminishing the patient’s ethnic characteristics. Dr. Sriprakash and his associate perform ethnic rhinoplasty surgery in Los Angeles as part of their extensive plastic surgery practice and have worked with patients from all ethnic backgrounds. 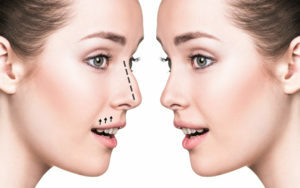 Nose jobs must take into consideration the unique internal and external ethnic features of each patient’s nose. Dr. Sriprakash and his team in Los Angeles understand that ethnic noses may require significant alteration of the internal structures in order to change the external appearance and achieve the ideal look each patient desires. Due to the ethnicity of the nose structure, Asians, Hispanics and African Americans may have specific nasal features which require special attention. For example, African American, Hispanic, and Asian patients often have rounder, bulbous or less protrusive nasal tips they may wish to extend and refine (make the tip taller and more narrow). Excessive nostil width or nostril flare is also a common aesthetic concern. In addition to reshaping the nose, rhinoplasty can correct obstructions or abnormalities that contribute to breathing problems. Since these significant internal changes to the ethnic nose will have an impact on the function of the nose, Dr. Sriprakash and his Los Angeles surgical team take great care in maintaining open nasal airways so you enjoy optimal post-surgical breathing. No two patients are exactly the same, and Dr. Sriprakash will listen to each patient’s requests to learn about his or her ethnic rhinoplasty goals. He boasts a complete understanding of the underlying structures in the head, along with the nasal anatomy of many different cultures. Thus, Dr. Sriprakash understands what it takes to help a patient maintain the integrity of the nasal function and provide the best possible aesthetic outcome after an ethnic rhinoplasty procedure. Am I A Good Candidate for Ethnic Rhinoplasty? 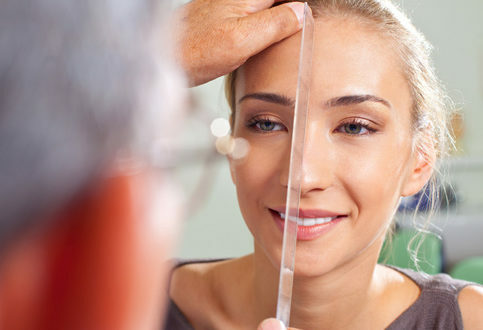 In deciding whether to have cosmetic surgery, patients should examine many factors that extend beyond the surgery itself. Dr. Sriprakash has received global recognition for his ethnic rhinoplasty work. In addition to creating beautiful noses, he is also able to perform reconstructive rhinoplasty to restore the nasal function and breathing.